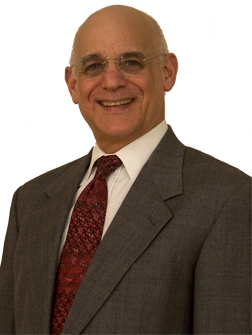 Since his graduation from Villanova Law School in 1968, Andrew has maintained an accomplished trial practice throughout the state and federal courts of Eastern Pennsylvania. He represents professionals in practice dissolution, malpractice and disciplinary disputes, is experienced in general tort matters, and handles a variety of business litigation involving unfair competition, restrictive covenant enforcement, and commercial disputes. He regularly counsels professionals and companies in health care and insurance matters. Andrew is a member of the Pennsylvania Bar Association (Zone 9 delegate 2000-2001) as well as the Montgomery Bar Association. He has served the Montgomery Bar Association as a Director, and as chair of the Bench-Bar Liaison Committee, as well as the Medico-Legal, Alternative Dispute Resolution, Civil Trials and several ad hoc committees. He is a panel member of the Montgomery Bar Association Center for Mediation and Arbitration. Andrew is proud to serve the Court of Common Pleas of Montgomery County as a Discovery Master, hearing arguments on discovery motions and recommending disposition for the judges. “Academically” Andrew is a frequent course planner and lecturer on civil litigation and alternative dispute resolution topics for several C.L.E. providers. Andrew has been designated a Super Lawyer by Philadelphia Magazine and Law & Politics, and his AV rating by Martindale Hubbell, as established by his peers and the Judiciary, is the highest possible rating in both ability and ethics. In 1993, he was elected Fellow of the prestigious American College of Trial Lawyers, and served on its state committee for two years. During the latter half of his practice years, Andy’s creativity and ability to resolve disputes has made him one of the most sought after mediators in the region.